A modern interpretation of a classic design. This edition of Certina's popualr DS Podium Chronograph features Precidrive quartz movement, tenths of a second in real time with a 41mm gold rose gold tone and stainless steel case. 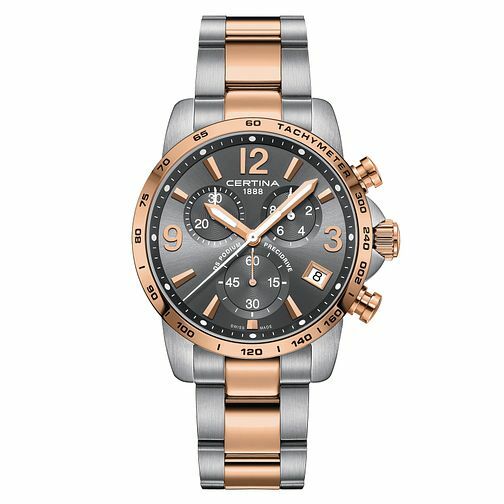 Water resistant to 100m, with a matching bracelet, three sub dials and rose gold tone details.